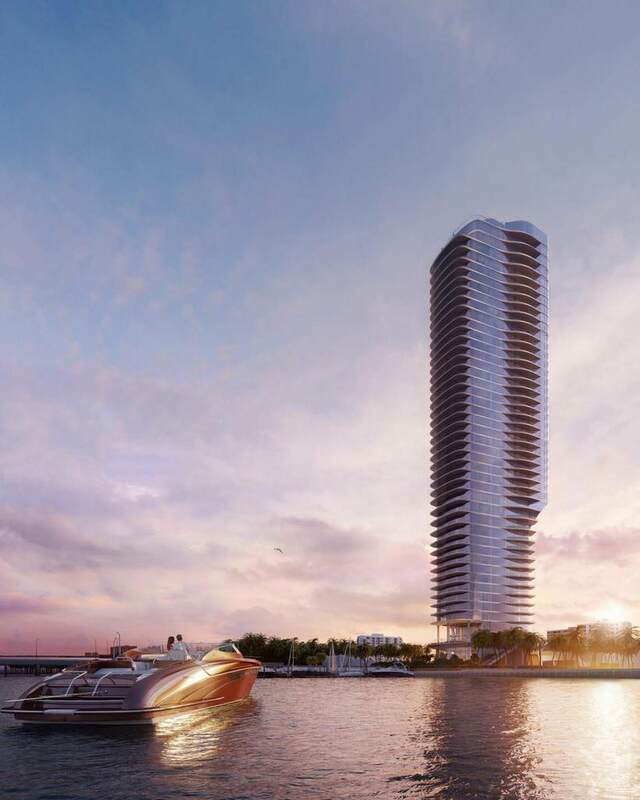 Developers of Brickell’s Una tower have filed for a construction permit. The permit was filed for on November 30, and appears to be a dry run, with Civic Construction listed as the contractor. A permit to demolish an existing building on the site hasn’t yet been filed for. 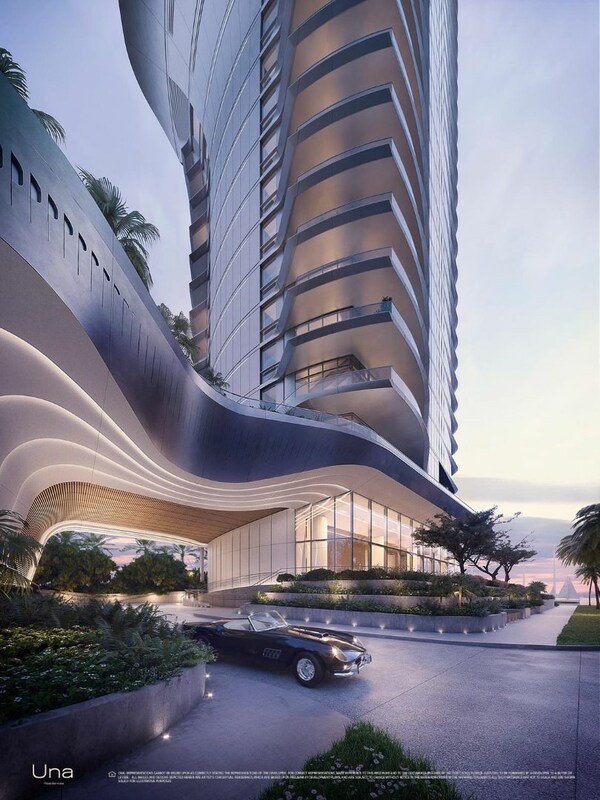 According to the construction permit, 138 residential units will be built over 47 floors. 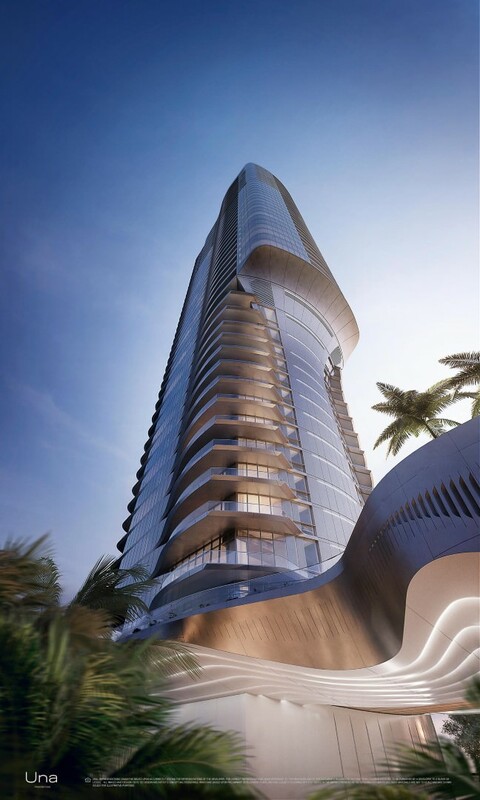 Previously filed plans show the tower rising 613 feet. Total construction cost is listed at $50,575,000. Metromover should continue from the Financial District station down Brickell Ave to the Rickenbacker, with a flyover so the terminus is at the Vizcaya Metrorail station. It would help connect these buildings into the mass transit system. Ideally, the mover would continue to Virginia Key and Crandon Park to give public access to the beaches and recreation space and avoid parking issues for events there and at the tennis center. But we know that Key Biscayne would never allow that. …or you can just walk to the Metrorail station. South Brickell bordering the Grove is one of the best walkable areas of Miami covered in shade trees. There’s No point expanding a system with overlap of an existing one. Also, while you and I might support transit, rich people living along here might not, and definitely wouldn’t want Metromover tracks squatting over the street. security guards, maintenance workers and janitors work at those buildings. It’s over a mile walk from this property to Vizcaya Metrorail or the Financial District Metromover station. We need an east-west transit route, like a Coral Way streetcar, and Metrorail Orange Line extension from the airport down 27th Avenue to Douglas Road. Yes. Im glad this is almost a reality. Let’s make it happen. Three more years for this to add length(of at least 500 feet) along the skyline. A few more years and Miami will be the Dubai of the west! Let’s just make Miami the new Dubai …without religion, period! Amen to the comment above. Religion is the ruin of the world, any religion. LOL, “amen” and “religion is bad” within the same sentence. I can feel your soy boy neckbeard through my computer screen. Not a fan of the design…appears to be structurally unsound and top heavy. Balconies are virtually non-existent. Highly unlikely this project will come to fruition this cycle. The final image shows balconies along one entire side and others at a corner. Architects have been doing cantilevers for centuries so I’m sure it is structurally sound. Thank you for your expert opinion on this building’s structural integrity. You should probably point this out to the developer. Master of negativity maybe…Wow you are one bitter person…The building is top heavy? What kind of comment is that? The cantilever is definitely doable. Check out the Twarda Tower in Poland, very similar setup.